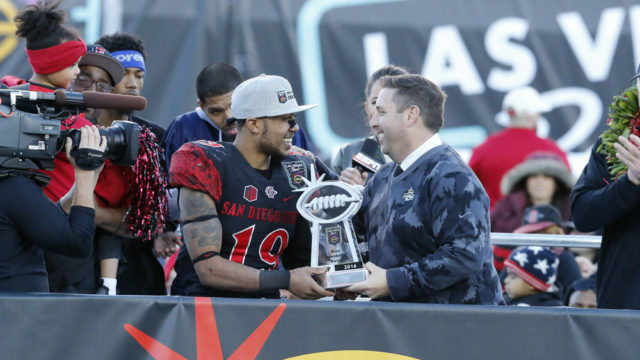 In the last four seasons for the Aztecs, there’s one thing that has remained constant the entire time: Donnel Pumphrey. 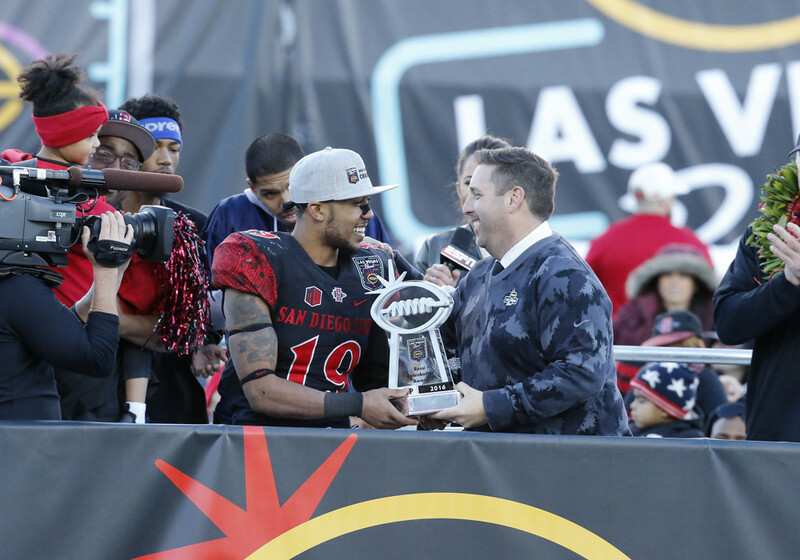 His persistence and hard work paid off in full Saturday in SDSU‘s bowl game against Houston, after he ran for 115 yards en route to becoming the football bowl subdivision all-time rushing leader. He passed Ron Dayne for the lead on a 15 yard at the start of the fourth quarter, ending his collegiate career with 6,405 rushing yards. At the start of the game, the 108 yards needed for the No. 1 spot looked as though the record might not come to pass after the Cougars’ defense held Pumphrey to a loss of one yard in the first quarter. However, he adjusted, running for 100 yards and a touchdown in the second and third quarters before overtaking the record. He was also named as most valuable player for the game.